You will fall in love again with this Glendora home. Blessed with lovely curb appeal, its highly desirable location and its award-winning school district. A perfect new modern look with decadent features and clean, modern touches makes this home feel like "This is the one!" 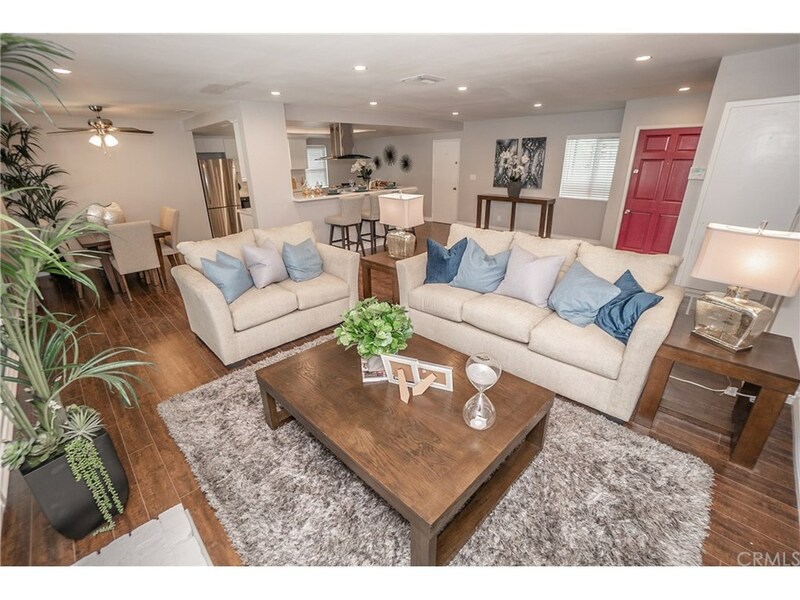 This 3-bedroom, 2-bathroom single story home features a newly designed open floor plan boasting brand new wood laminate flooring throughout, modern paint colors and abundance of natural lighting with new energy efficient windows. Completely new cabinetry, countertops and stainless-steel appliances ensures the entertainment and culinary skills are at its best! The dining area highlights a sliding glass door overlooking the backyard oasis. The dreamy pool and spa are newly plastered and make the perfect backyard eye candy. Perfect for year-round gatherings and family memories the outdoor living space is ideal. A covered patio and well-manicured backyard offering a variety of palms trees, low maintenance landscaping, hardscaping, fire-pit and separate gardening or storage space on the property. The master bedroom exudes relaxation and spa like treatment with brand new bathroom design. The new free standing tub, walk in shower, vanities, mirrors provide the perfect environment for a master bedroom desire. This home is nestled within a great community, with no neighbors located behind you, an awesome 2 car garage, additional parking access, low taxes, no HOA. This home is "The one." Listing provided by : JOSEPH TRUJILLO License # 02007156, EXP REALTY OF CALIFORNIA INC.